January 2 – 48-year-old Constance M. Hiner is beaten to death in her home at 1600 Woodstock Lane in Reston. February 8 – 26-year-old Manuel Rocha stops by his girlfriend's house in Fairfax and kills her 29-year-old estranged husband Jose C. Martins with a shotgun, then commits suicide. March 10 – 29-year-old Elizabeth A. Deighton is killed in an early morning fire at her home at 8509 Engleside Street in the Woodlawn neighborhood of Alexandria. March 25 – 30-year-old David C. Stallard is stabbed to death by 23-year-old Lars Hanson at the Shell station at 6660 Arlington Boulevard in Falls Church. April 29 – The bodies of 35-year-old Kieuoanh Thi Nguyen and her 2-year-old son Ryobi are found stuffed in a large trash can floating on a pond owned by the Vulcan Materials Company in the Shirley Edsall Industrial Park in Springfield. May 16 – 84-year-old Iona B. Lazar is stabbed to death in his shared apartment in Alexandria. May 28 – 23-year-old Earl Ray Scott pleads guilty to first-degree murder for fatally shooting 22-year-old nanny Dena N. Perera at her employer's home at 8518 Electric Avenue in Vienna on December 18, 1995. June 2 – 26-year-old Douglas Walls fatally shoots his stepbrother, 19-year-old David W. Fuller, and stepfather, 51-year-old James P. Fuller, in his family's Fairfax City home. June 3 – 23-year-old Shirley N. Davis fatally shoots 32-year-old James R. Perrin in her Alexandria apartment. Perrin is taken to the Inova Fairfax Hospital, where he dies several hours later. June 8 – 23-year-old Jonathan Sorah shoots his 25-year-old brother Joseph in the head, mortally wounding him, to settle an argument at the family home at 2304 High Drive in Vienna. Joseph is taken to Fairfax Hospital, where he dies the following evening. June 10 – Mobil Corporation announces its plans to sell Mobil Land Development Corporation to Westbrook Partners, a New York-based real estate investment company. June 15 – The 170-year-old Oak Grove house in Springfield is demolished. June 24 – A tornado, later estimated to be rated an F2 at its strongest, touches down in Loudoun County and passes through Centreville, Fairfax and Annandale before finally dissipating. Six homes in Centreville are destroyed. July 19 – 33-year-old Anthony J. Simpson is sentenced to 53 years in prison by Judge Jack B. Stevens for a violent spree that culminated with his stabbbing 32-year-old Fana Belay to death in front of her eight-year-old daughter in the Edsall Gardens Apartments in Alexandria early on the morning of September 27, 1995. August 16 – 23-year-old Earl Ray Scott is sentenced to 43 years in prison for the December 18, 1995 murder of his girlfriend Dena N. Perera at 8518 Electric Avenue in the Tysons Woods neighborhood of Vienna. August 18 – Off-duty D.C. police officer Robert T. Glover fatally shoots 48-year-old Auguster A. Carter as he drunkenly drags Virginia State Police Trooper Eric Radwick beside his Saab on Interstate 95 between the Franconia-Springfield Parkway and Newington exits in Springfield. August 24 – 26-year-old soldier Ty Curiel is killed when the car he is riding in crashes into the railroad trestle support on Beulah Street near Backlick Road. September 1 – After extinguishing a burning car in a parking lot in Herndon, firefighters find the body of Paul G. Gabelia burned beyond recognition in the trunk of his 1991 Mercury with his hands and feet bound and a cable wrapped around his neck. September 30 – While walking his dog along a trail near his home in Reston, 72-year-old Robert J. Wells is fatally stabbed by 53-year-old Benjamin W. Brown. Wells is taken to the Inova Fairfax Hospital, where he dies. October 17 – After robbing the Riggs Bank in the Tysons Corner Center, 31-year-old Tariq M. Khan gets into a gunfight with Fairfax County Police Officer Troy S. Payne, Jr. and is shot to death. October 28 – 16-year-old Jason M. Garrison pleads guilty to first-degree murder for his part in the December 16, 1995 murder of Jonathan Hall. October 28 – 23-year-old Charles A. Moore enters an Alford plea to murder for setting the fire in his ex-girlfriend's Alexandria condo on November 18, 1995 that killed both his 2-year-old daughter Monique and his ex-girlfriend's other child, 5-year-old Darrion T. McCoy. October 28 – Fairfax County Executive William J. Leidinger is fired by the Fairfax County Board of Supervisors in a 7-2 vote. November 24 – The Gum Springs Museum and Cultural Center opens in Alexandria. December 5 – The Fairfax County Police Department opens a satellite station in the Edsall Garden Apartments at 6413 Edsall Road, #101. December 6 – The Fairfax County Police Department opens a satellite station in the Springfield Mall. December 13 – Jonathan Sorah is convicted of manslaughter for shooting and mortally wounding his brother Joseph at the family home in Vienna on June 8. December 13 – James A. Murray is sentenced to life in prison without the possibility of parole by Judge Marcus D. Williams for the stabbing murder of Jonathan A. Hall on December 16, 1995. December 21 – 37-year-old Duc Minh Pham is shot to death by his 35-year-old brother-in-law Tuan Huu Tran in the kitchen of Pham's home 13471 Point Pleasant Drive in Chantilly to settle an argument. There were 15 murders and other homicides in Fairfax County in 1996. 44 people were killed in 41 fatal traffic crashes in Fairfax County in 1996. 12 of those crashes involved alcohol. ↑ Smith, Leef. "Reston Woman, 48, found Slain in Expensive Home." The Washington Post (1974-Current file): 1. Jan 03 1996. ProQuest. Web. 21 Mar. 2014. ↑ Fehr, Stephen C. "Few Clues in Executive's Slaying." The Washington Post (pre-1997 Fulltext): 0. Sep 16 1996. ProQuest. Web. 21 Mar. 2014. ↑ Fountain, John W. "Man Slain by Wife's Boyfriend; Gunman Kills Self, Fairfax Police Say." The Washington Post (pre-1997 Fulltext): 0. Feb 09 1996. ProQuest. Web. 6 June 2014. ↑ "Police Identify 2 Men Killed in Fairfax Slaying-Suicide." The Washington Post (1974-Current file): 1. Feb 10 1996. ProQuest. Web. 6 June 2014. ↑ Adams, Anne C. "Woman Dies, Fiance Injured in House Fire." Fairfax Journal. Journal Newspapers, 11 Mar. 1996. Web. 12 May 2014. ↑ Norton, Justin M. "Falls Church Man Stabbed to Death." Fairfax Journal. Journal Newspapers, 27 Mar. 1996. Web. 12 May 2014. ↑ "Man Gets Life for Fatal Stabbing." The Washington Post: 0. Feb 13 1997. ProQuest. Web. 12 May 2014. ↑ Chandrasekaran, Rajiv, and Patricia Davis. "Bodies found in Pond are Missing Franconia Woman, Son." The Washington Post (1974-Current file): 2. May 02 1996. ProQuest. Web. 19 Aug. 2014. ↑ "Crime Watch" The Washington Post (1974-Current file): 1. May 23 1996.ProQuest. Web. 26 July 2016. ↑ "Md. Man Pleads Guilty to Killing Fairfax Nanny." Washington Post. The Washington Post, 29 May 1996. Web. 27 July 2016. ↑ Fountain, John W. "Fairfax City Man Charged in Two Slayings; Stepfather, Stepbrother Shot to Death; Neighbor Says the Family often Argued Loudly." The Washington Post (pre-1997 Fulltext)Jun 04 1996. ProQuest. Web. 29 July 2016. ↑ "CRIME AND JUSTICE: Fairfax Jury Gives Man 2 Life Terms in Slayings." The Washington Post (1974-Current file): 1. Feb 14 1997. ProQuest. Web. 29 July 2016. ↑ "CRIME AND JUSTICE: Woman Held in Va. Slaying." The Washington Post (1974-Current file): 1. Jun 04 1996. ProQuest. Web. 30 July 2016. 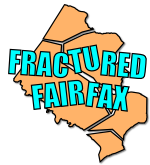 ↑ 14.0 14.1 "AROUND THE REGION: Fatal Shooting in Fairfax." The Washington Post (1974-Current file): 1. Jun 10 1996. ProQuest. Web. 11 May 2014. ↑ "MOBIL SELLS LAND DEVELOPMENT BUSINESS TO WESTBROOK" The Free Library 10 June 1996. 12 May 2014. ↑ Hiller, Jack Lewis. "Oak Grove: The House That John H. Broders Built." Yearbook: The Historical Society of Fairfax County, Virginia. Vol. 26. Fairfax: Historical Society of Fairfax County, Virginia, 1997. 33-53. Print. ↑ "Virginia Tornado Listing by County: Fairfax." National Weather Service Weather Forecast Office Baltimore/Washington. National Weather Service, 25 June 2011. Web. 12 May 2014. ↑ Fountain, John W. "Va. Man Gets 53-Year Term in Stabbing Death, Wounding." The Washington Post (1974-Current file): 1. Jul 20 1996. ProQuest. Web. 2 Sep. 2014. ↑ Fountain, John W., and Eric Lipton. "Nanny Shot, Killed in Family's Home." The Washington Post (1974-Current file): 2. Dec 19 1995. ProQuest. Web. 11 Aug. 2014. ↑ Smith, Leff. "Nanny's Slayer Gets 43 Years in Prison." The Washington Post: 4. Aug 17 1996. ProQuest. Web. 11 Aug. 2014. ↑ Keary, Jim. "D.C. cop kills driver to help officer: Car dragged trooper in Virginia." Washington Times [Washington, DC] 20 Aug. 1996: 3. General Reference Center GOLD. Web. 22 Jan. 2017. ↑ "Crash Kills Va. Soldier." The Washington Post (pre-1997 Fulltext): B.04. National Newspapers Core. Aug 25 1996. Web. 4 Feb. 2012. ↑ "Body found in Burning Car in Va." The Washington Post (pre-1997 Fulltext): B.06. National Newspapers Core. Sep 03 1996. Web. 19 Dec. 2011. ↑ Finn, Peter. "Prison Deal Reached in Reston Slaying; Music Teacher's Alleged Assailant Agrees to Serve Up to 12 Years." The Washington Post: 0. Sep 09 1997. ProQuest. Web. 25 Aug. 2014. ↑ Fountain, John W. "Bank Robber Killed at Tysons Corner; Officer Wounded in Shootout that Shocked Shoppers, Mall Workers." The Washington Post (pre-1997 Fulltext): 0. Oct 18 1996. ProQuest. Web. 21 Mar. 2014. ↑ "Tysons Robber Identified." The Washington Post (pre-1997 Fulltext): 0. Oct 19 1996. ProQuest. Web. 21 Mar. 2014. ↑ Fountain, John W. "Va. Youth Pleads Guilty to Murdering 13-Year-Old." The Washington Post (1974-Current file): 1. Oct 29 1996. ProQuest. Web. 2 Feb. 2014. ↑ "Va. Man Facing 2 Life Terms in Tots' Fire Deaths." The Washington Post (pre-1997 Fulltext): 0. Oct 29 1996. ProQuest. Web. 10 Nov. 2014. ↑ Lipton, Eric, and Tod Robberson. "Fairfax Supervisors Sack County Executive." The Washington Post (pre-1997 Fulltext): A.01. National Newspapers Core. Oct 29 1996. Web. 14 Feb. 2012. ↑ 31.0 31.1 Sorokin, Ellen. "Police Open Stations in Franconia, at Mall." Fairfax Journal. Journal Newspapers, 4 Dec. 1996. Web. 12 May 2014. ↑ Fountain, John W. "Manslaughter is Verdict in Brother's Slaying." The Washington Post (1974-Current file): 1. Dec 14 1996. ProQuest. Web. 11 May 2014. ↑ Fountain, John W. "Teen's Killer Sentenced to Life in Prison." The Washington Post: B.02. National Newspapers Core. Dec 14 1996. Web. 6 Feb. 2012. ↑ "Man Shot to Death in Chantilly." The Washington Post: 0. Dec 22 1996. ProQuest. Web. 12 May 2014 . ↑ Sorokin, Ellen. "Chantilly Man Charged in Death." Fairfax Journal. Journal Newspapers, 23 Dec. 1996. Web. 12 May 2014. ↑ Hansen, Ronald J., and Jim Keary. "Area homicides drop, arrests climb in 1997." Washington Times [Washington, DC] 2 Jan. 1998: 1. General Reference Center GOLD. Web. 29 Jan. 2017.